Detailed with airy eyelet embroidery, this top is cut in a statement-making silhouette. Detailed with airy eyelet embroidery, this top is cut in a statement-making silhouette. 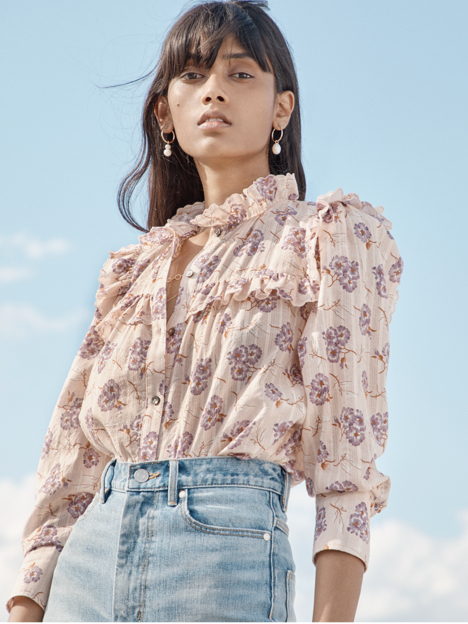 Voluminous three-quarter length sleeves are trimmed with textural ruffles while its tied, cropped hem complements the season’s high-waisted pants and skirts.